Pet or No Pet, That is The Question???? My girls have been begging for a puppy and I haven’t given in yet, but I’m tempted!!! I have always wanted a dog, but I know the commitment it will take and I’m not sure if I am up for it. What makes it worst, is my sister recently got a dog for her family and my kids can’t stand it. Everyday, I hear, “but Auntie has one, why can’t we????? ?” So, I need to hear the pros and cons of having a pet, what’s your take on having a family pet? ← Cute Beltz Question of The Day – What relaxes you? Let’s hear the pros and cons! Oh, in reply to Wendy Tomlinson’s comment, you do have to watch an animals temperament, but most shelter’s give you a two week time period to return a dog and choose another. If you choose a puppy this problem is usually avoided. I’ve gotten an aggressive dog from a shelter too, but it would never stop me from choosing a shelter dog to rescue, because it is a very rare problem. Puppies are a lot of work, almost as much as another child. In fact, when friends are pondering whether to have a child I often tell them to get a puppy first. If they can handle the playfulness, potty training, and just normal day to day attention/training that a puppy would need, they can handle a child. If you do decide to get a puppy, think about getting one from a shelter. Mixed breeds make the best pets since they are not so inbred/high-bred that they have attitudes or nervousness that could lead to bites. Also, there is something about a mix breed from a shelter that you don’t get in one of those pure bred dogs. Words don’t even describe it, but it’s like they know you rescued them. I volunteer at our local shelter, and have a small farm. We recently adopted rescued puppies for my boys. My boys are older (14 and 11) but they take care of the puppies themselves. When they get up in the morning, they ‘walk’ them (which consists of running around the yard with them!) clean out the kennel, feed, and water them. When they get home from school they repeat the same and then after homework and chores are done, they turn the puppies loose to run and play with them. If for some reason you decide it’s too much work, you might find a kitten to be a better choice. They pretty much take care of themselves, and only need food and fresh water every day and a litter box. The litter box isn’t that bad, and now days they have the kind that clean themselves (I know – crazy right?! I have one!!). It’s still a pet they can hold and love, but watch for the claws. If a cat doesn’t want to be messed with, they will let you know! Stacey, the “pet test run” is a great idea”! I was thinking about taking them to the shelter to volunteer to walk a dog, etc. I know I will be doing most of the work, that’s my hesitation. Not sure I’m ready! Angee – I like the contract idea! 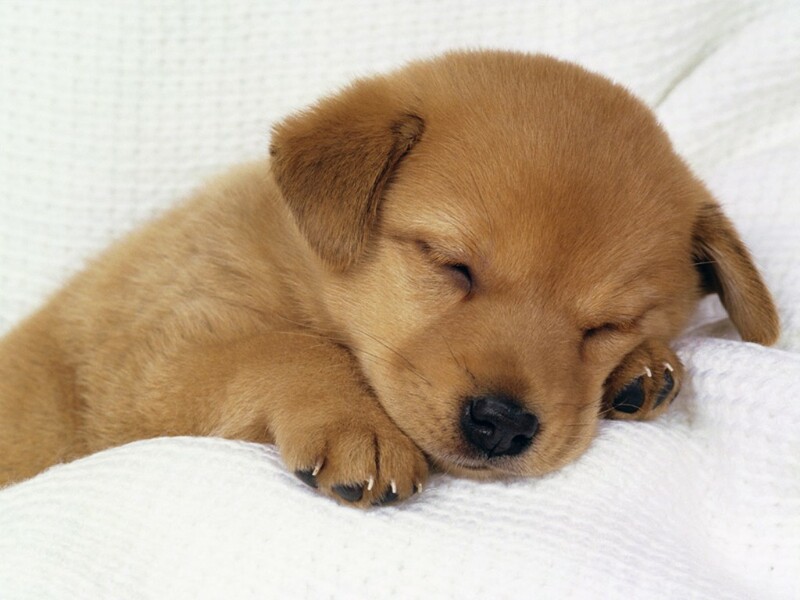 Andrew – I know that is the most adorable puppy EVER!!!! Wendy – Thank you for the advice! I was considering a rescue center, so I appreciate your insight. Hope everyone was OK from the incident. Hi, up until recently we have always had a dog. I had a special bond with my dog as a child and my step son had the most amazing bond with our dog that we unfortunately had to have put down because of old age and a bad skin problem that was causing him pain. For children growing up with a dog is so special and the bond between them is unbreakable. Yes, it’s hard work sometimes, expensive and a huge time commitment but the unconditional love you get in return is worth it. I do just want to tell you about a recent experience. After a year without a dog and my younger son (10) so desperate for us to have another dog, one that he can grow up with, I decided it was time. I looked around for quite a long time and eventually asked to go and look at a dog from a local rescue center. We took him out for a long walk and played with him, etc. He had been taken into the pound as a stray. He seemed very loving and gentle. I decided we would give him a home. Unfortunately his behaviour changed dramatically within 24 hours of having him home. We are experienced with dogs and kept things nice and calm for him to settle into our home. He turned out to be very aggressive (thankfully no serious injuries but a trip to hospital was needed). Although I feel so sad for these dogs in rescue, I would strongly advise families with children buy a puppy from a reputable breeder where they can see the parents. It’s just not worth the risk. The experience did frighten me a lot but I am still going to be getting a dog for our family. I hope this has helped. And I hope if you decide to get a dog, your children will share the special love I have had with my dogs as a child and adult. Okay. Roll your eyes up the screen. Keep going. Keep going. Okay. Now LOOK AT THAT PUPPY!?!?!? IS THAT INSANELY CUTE OR WHAT?!??!?!?!? So yes, I vote yes. It is a big commitment. It is like having another child but this one doesn’t grow up and you are constantly responsible for it. I would make sure there is an understanding of who takes care of it and I have even heard of parents getting a contract from their children. Also I would take in to consideration where you live in terms of what type of dog you get. Good luck!